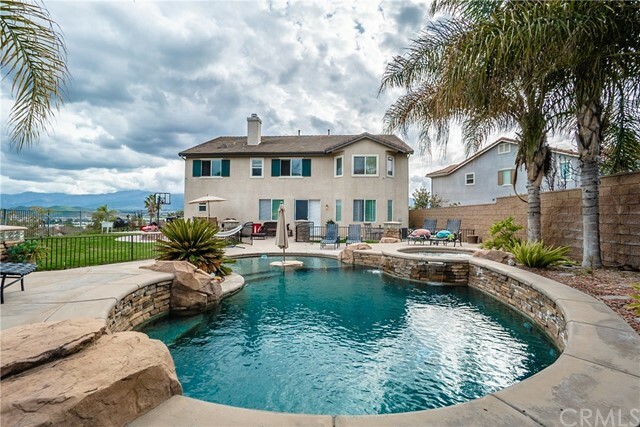 Spectacular 6 bedroom 4 bathroom house nestled in the hills of corona. This property is located at the end of a cul-de-sac providing additional privacy & beautiful views of the city. The house alone alone is 4,031 sq ft. Of living space! The lot size is just shy of an acre with an impressive 38,768 sq ft, which also features a sparkling swimming pool & jacuzzi for you to enjoy throughout the year thanks to the beautiful weather that southern california has to offer. There are two huge full master bedrooms with master bathrooms & walk-in closets, plus an additional 4 bedrooms, indoor laundry room, living room, formal dining room, family room with fireplace adjacent to the open concept kitchen with walk-in pantry, built-in appliances including refrigerator, stove, microwave, double oven, dishwasher, & trash compactor. There is a 2 car attached garage with wide driveway that fits approx. 6 cars + there is additional rv parking (to right of garage) with inground waste line hookup. Inside, it is hardwired with ethernet ports throughout the entire property for your home entertainment needs. Outside, there is a 12 camera security system, throughout the exterior of the property for added security & peace of mind. If your parklike backyard is not enough, you can take a 1 minute walk to cresta verde park or take one of the numerous walking trails throughout the community. Less than 2 mi. 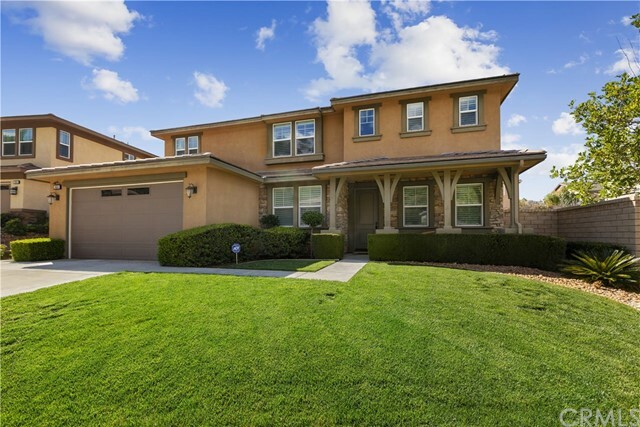 Away from costco, home depot, walmart, restaurants, frwy, & schools! Just reduced!!! 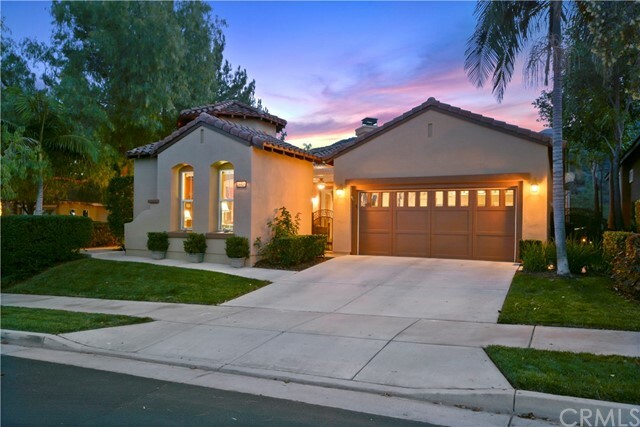 Beautiful south corona home located in the sought-after community of orchard glen. 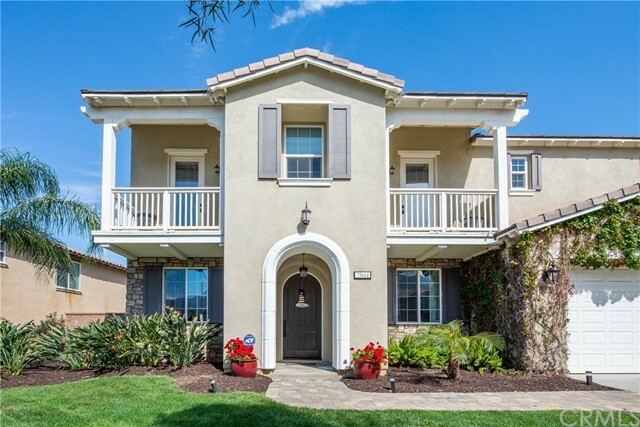 This beautiful home is one of the largest homes in the community and features 5 beds and 3. 5 baths with a guest suite and private bath on the main level. Walk through the extended entryway that leads to an open kitchen with granite countertops, upgraded wood floors, stainless steel appliances and lots of cabinets space. The open family room sits off the kitchen and boasts a surround sound system and a nice cozy fireplace. The main level has an office that could be used for the worker that telecommute. The upstairs has a bonus room or loft and a master bedroom suite with private bath and additional bedrooms. The front yard was partially upgraded to a drought resistant yard. 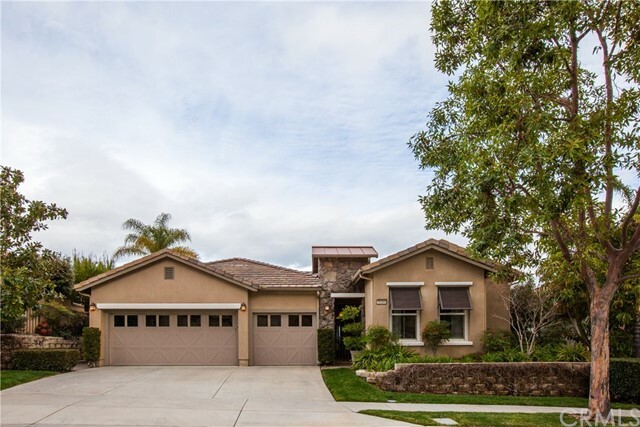 This home is located in the foothills of corona and in close proximity to orange county, walking trails and freeways. Under construction! This spacious single-story home provides an expansive design with everything you want and need. The home features three bedrooms, a flex room, and two and half bathrooms. A formal dining room is perfect for special events and holidays, while the open great room, nook and gourmet kitchen provide another great space to entertain. The master suite comes complete with a spa-like bathroom and large walk-in closet. 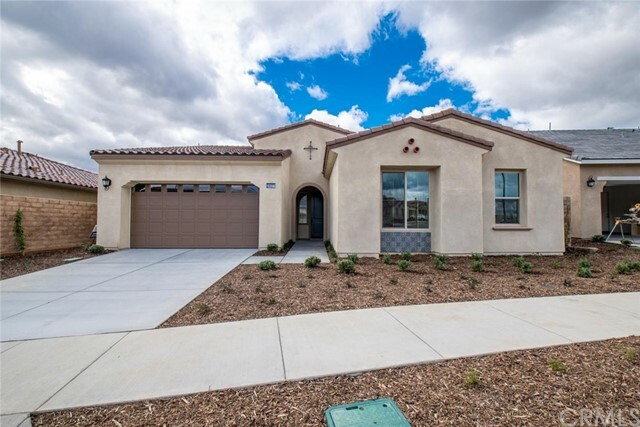 Sierra bella by is an exclusive gated masterplan community of two single-family neighborhoods with new homes for sale in corona, by lennar. Adagio and sonata, combine luxury floorplans and breathtaking views. with a total of six distinctive floorplans, including lennar’s next gen® – the home within a home® multigenerational home design, it’s the perfect place for families to thrive. New construction! A welcoming porch greets guests at the foyer leading into the stunning single-story home with three bedrooms and two-and-one-half baths. An open concept design with a versatile floor plan emphasizes connectivity. 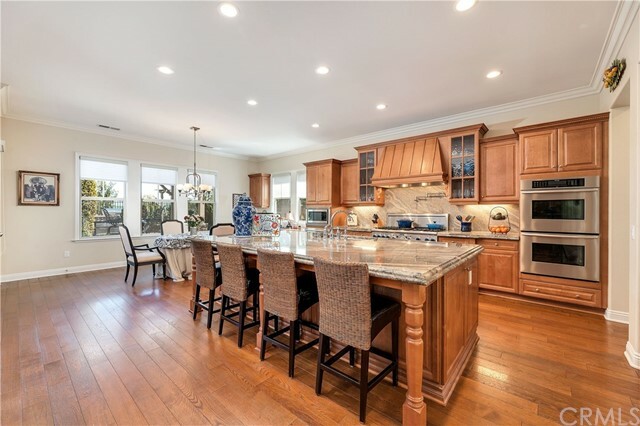 The well-appointed gourmet kitchen features a large island, abundant counter space and cabinetry, stainless steel appliances, designer finishes and a large walk-in pantry. Adjacent to the kitchen is the dining area with many windows bringing in natural light. The california room allows for fresh breezes promoting indoor-outdoor living. The den provides flexibility to fit your lifestyle. Privately situated, the generously sized owner’s suite is spa-inspired with a large walk-in closet, dual vanities and oversized walk-in spa shower. The two-car garage includes storage space for bikes and golf clubs. 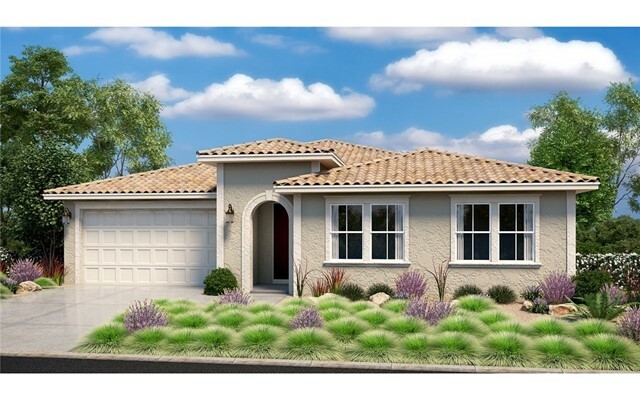 Set in the beautiful and master-planned community of terramor, sterling by lennar homes is located along the hillsides of the temescal valley just south of corona. A resort-inspired experience has been designed especially for today’s active adults. The terrace club is an impressive, six-acre recreational area with a 20,000-square-foot clubhouse exclusively for 55+ residents. The luxurious amenities include a resort-style pool with surrounding cabanas, indoor pool, fitness center, tennis courts, bocce ball and pickleball courts. Light, bright and spacious! 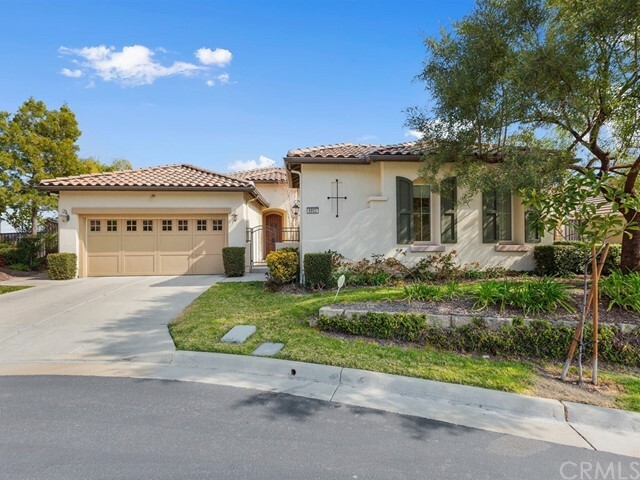 Located behind the gates of sycamore hills at sycamore creek, this executive-style home is loaded with storage and generous-sized rooms. The christopher homes plan boasts five bedrooms, each with a walk-in closet, and four bathrooms in nearly 3,700 square feet, plus a three-car tandem garage. With separate formal living and dining rooms, the living room is optional bedroom 6 or a den/home office. For the home chef, the kitchen has all the counter space and storage you could ask for - a huge island and breakfast bar, plus a walk-in pantry. Appliances are stainless steel and include a double wall oven, one with convection, and a five-burner gas range. The adjacent family room has a custom, built-in media center and is wired for surround sound. Enjoy outdoor relaxing under the covered patio while listening to the fountain. Four bedrooms, including enormous master suite, and three bathrooms are located upstairs. One bedroom and bathroom are on the main level. Special bonus – the upstairs loft is a great space for movie watching and gaming. Master-planned sycamore creek is loaded with amenities - a recently updated clubhouse and expanded gym, two outdoor pools and spas, walking trails, and more. The community is home to highly-rated todd academy, grades k-8; deleo regional sports park; and riverside county fire station 64. Shopping, dining, & entertainment nearby at tom’s farms, dos lagos, the crossings, and the shoppes at sycamore creek. Low hoa dues.